A musician with a wide-ranging international career, British conductor and organist Michael Bawtree has directed the Royal Scottish National Orchestra, the Scottish Chamber Orchestra, the Orchestra of Scottish Opera and many performances for Scottish Ballet, Northern Ballet and Raymond Gubbay Limited across the British Isles. For seven years, he has been Assistant Music Director of the Lyrique-en-Mer summer opera festival in Brittany. A keen advocate of contemporary music, Michael Bawtree has conducted world premieres of operatic, symphonic and choral works by Judith Bingham, Paul Mealor and Rory Boyle; he works regularly with Scotland’s foremost composers including Sir James MacMillan, Thea Musgrave and Sally Beamish. In 2014 Bawtree spent two months living in Mumbai, directing a choral project with 250 children from all walks of life: slum children sang alongside the most privileged on the stage of the National Centre for the Performing Arts. He returns to India’s largest city next season for performances of Benjamin Britten’s children’s opera Noye’s Fludde. For eleven seasons Michael Bawtree has been Chorus Director of the Edinburgh Royal Choral Union and Music Director of Glasgow Chamber Choir. He has also worked with the Edinburgh Festival Chorus, the RSNO chorus (as Acting Chorus Director), Andrea Bocelli, the Britten-Pears Chamber Choir, and toured with other choruses across Europe, North America, Hong Kong and New Zealand. Recent and upcoming guest conducting engagements include concerts in Sweden, Holland, Germany, Faroe Islands and France. In 2014 he conducted the RSNO and ERCU in Edinburgh at the Usher Hall’s Centenary Concert and the Commonwealth Games’ Celebration concert, and the RSNO’s Hogmanay Gala concert at Glasgow’s Royal Concert Hall. He recently made his debut at the Royal Albert Hall conducting Mozart’s Requiem with the London Philharmonic Chorus. In 2015 he directed the music for Janice Kerbel’s Turner Prize-nominated work ‘DOUG’ at the Tramway in Glasgow. 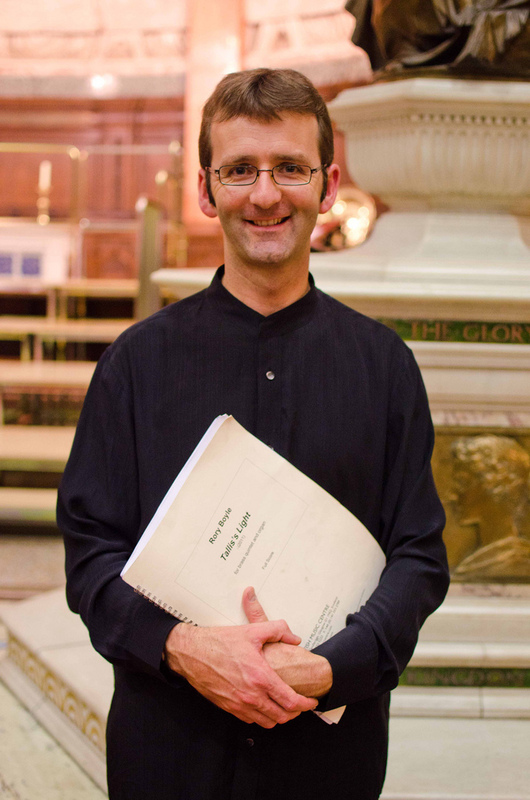 Michael Bawtree studied music and the organ at Christ’s College, Cambridge University, and conducting at the Royal Conservatoire of Scotland (formerly the RSAMD). As organist and continuo player, he has performed with many orchestras including the London Symphony, BBC Symphony, BBC Scottish Symphony, Scottish Chamber and the RSNO, including concerts at the Concertgebouw in Amsterdam, the BBC Proms and the Edinburgh International Festival. Organ recital invitations have taken Bawtree to all the major British cathedrals, Notre-Dame de Paris, Washington National Cathedral and to Bermuda, New England, California and across Scandinavia.